Volunteer! Join the Teen Think Tank, the Library's fun and inventive teen advisory board. The TTT is for ages 11-18, grades 6 to 12. We meet on the first Thursday of the month at 6:30 PM for 90 minutes. and to create programs and services designed for teens in this community. TTT meetings & projects will fulfill school community service hours. Come share your bright ideas!...and don't worry about dinner; we have pizza delivered. The time commitment to be a member of Teen Think Tank is mainly to constructively participate for 90 minutes a month on the first Thursday of the month at the TTT meeting. Regular monthly attendance is expected as a membership requirement, as attendance is important for continuity and progress in accomplishing things. Occasionally there will be something outside of the monthly 90 minute meeting time that will require your participation. 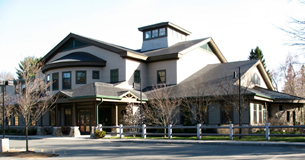 To join the TTT, please stop by the Library and talk with Kim Claire, Young Adult Librarian, or call 978-468-5577 x14.